The ABS by Allen Schwartz Gold-Toned Bracelet is so easy to slide onto your wrist, you're sure to wear it often. 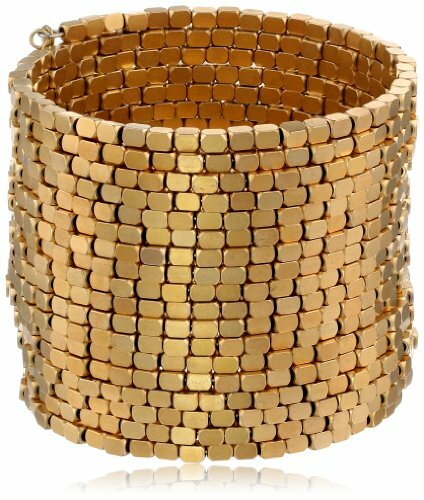 The 2.5-inch cuff is a single curve of tiny flat gold-toned beads that wind easily and fit comfortably, so you can wear it through a busy day and on into evening. From the office and on to dinner and dancing, this cuff is an elegant and versatile accessory. If you have any questions about this product by A B S BY ALLEN SCHWARTZ, contact us by completing and submitting the form below. If you are looking for a specif part number, please include it with your message.